Ordinarily, the only hangover cures we’re interested in involve biscuits or pasta. But every once in a while someone does some actual hangover science that is worth noticing. 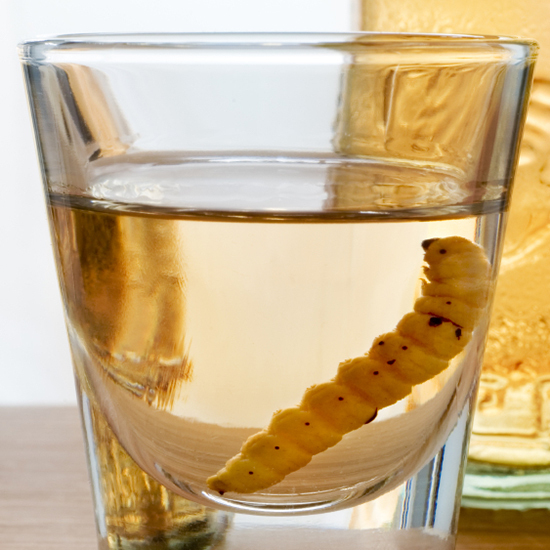 Recently, researchers from the University of Texas created a mutant worm whose super power is not getting drunk. And unlike previous claims, this one is backed with published scientific evidence. We’re sure you already have a lot of questions: How does anyone know when a worm is drunk? Aren’t worms very different from human beings? Why wasn’t Worm Man featured in X-Men: Days of Future Past? There are answers to most of them. First, the particular worms studied—Caenorhabditis elegans—actually exhibit outward behaviors of intoxication. Like drunken humans, the worms begin moving much more slowly. Unlike drunken humans, they stop laying eggs. The thing that makes this experiment particularly interesting is that the worms were mutated using a human alcohol target—a molecule in our bodies that binds alcohol and causes our drunkenness. The Texas scientists modified the alcohol target, making it insensitive to alcohol. The result was that the worms stayed stone cold sober. As to why Professor X never recruited Worm Man, you’ll have to take that up with Bryan Singer. Could You Identify Your Favorite Beer in a Blind Tasting?